JUBA, South Sudan (CNS) — South Sudan’s economy is near collapse, its church leaders said as they urged its warring parties to stop the conflict and form a unity government. 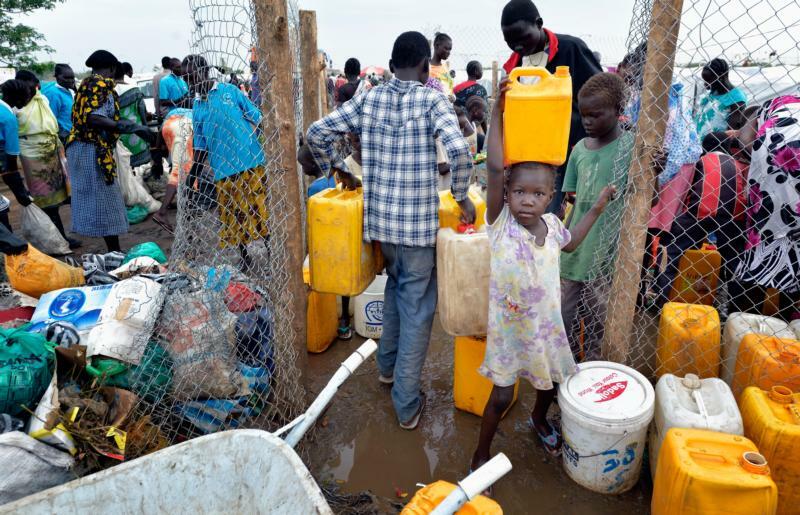 This economic failure is a “direct result of the conflict, which is destroying our country,” the South Sudan Council of Churches said in a March 22 statement signed by nine church leaders, including Archbishop Paulino Lukudu Loro of Juba. “We fear the instability and insecurity that may ensue” if civil servants, including the police and army, are not paid salaries that are due, it said. Also, steep increases in prices of essential commodities mean “ordinary citizens can barely survive,” it said. The world’s newest state, which gained independence from Sudan in 2011, was plunged into conflict in December 2013 between forces loyal to President Salva Kiir and rebels allied with his former deputy, Riek Machar. Thousands of people have been killed and more than 2 million displaced. To face the economic crisis, “we urge our leaders to stop the conflict” and form the government of national unity agreed to in the peace deal signed in August 2015, the church leaders said. “The people of South Sudan cannot accept any further delays over petty political considerations while our brothers and sisters are still dying and our economy is collapsing,” they said. “Our country is in limbo while we wait for the government, which has been promised to us by all main parties when they signed” the peace agreement, they said. They urged Machar to return to Juba, South Sudan’s capital, to take up his place in government and Kiir to remove any remaining obstacles to the unity government’s formation. While the subsistence farming of crops and livestock in rural areas “has often helped us through economic hard times,” this, too, is under threat, the church leaders said. “Conflict, displacement and weather conditions have combined to severely reduce the resources available to our people,” they said. Noting that it will “no longer simply make statements and then stand idly by while our leaders ignore our advice,” the council of churches said it will focus on advocacy for peace, neutral forums, and reconciliation. Through advocacy, it aims to influence the policies of government and political parties, nationally, regionally and internationally, it said. “Through our neutral forums, we will bring together stakeholders to discuss the root causes of the conflict and to envision the future of our nation, to find an indigenous South Sudanese resolution to our problems,” it said. A “grass-roots consultation and reconciliation process” has been prepared that will last “not for one or two years but for one or two decades,” it said. “We will play our part in bringing the Easter hope of new life to South Sudan after our Lenten period of suffering and death,” the church leaders said.